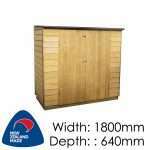 This ‘Mana’ Lean-to roof courtyard cupboard shed is very practical with double hinged doors on the front opening to 1200mm wide for easy access to the shelves on the back wall. 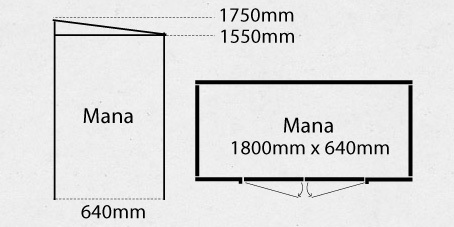 For a deeper version see the Kapiti cupboard sheds. 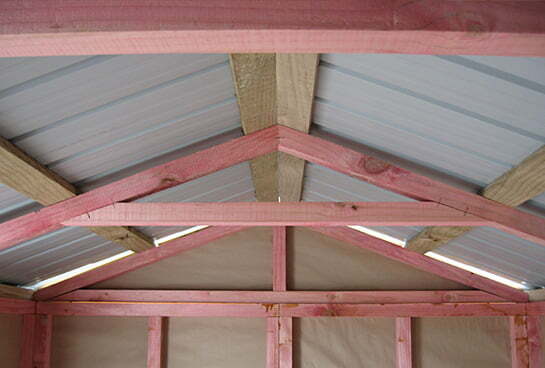 These small pine sheds are easy to assemble and come in pre made panel kitsets with a Karaka coloursteel roof. The Pinehaven courtyard cupboard range include floors and shelving in the kitset, making them the ideal solution for simple outdoor storage. 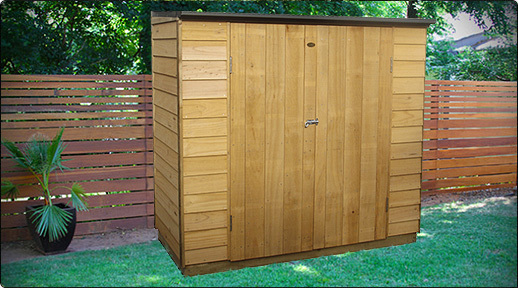 The Pine Timber Shed Kitset is made from treated timber, it comes without paint or stain finishing (so you can choose your own colour/s). 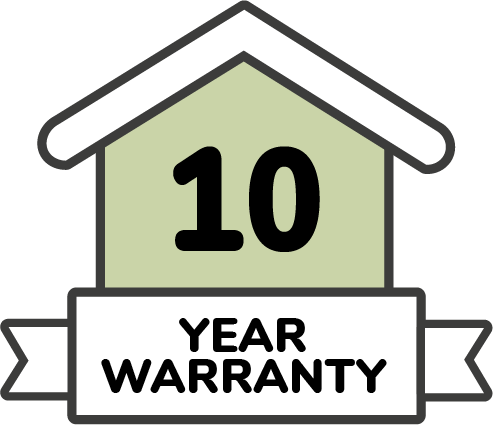 The shed must be painted or stained to protect the timber from the elements and uphold the warranty. 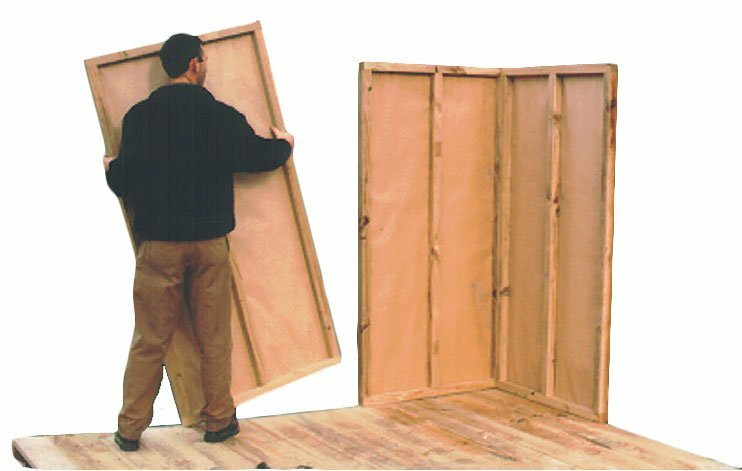 It is also recommended that nail holes are filled before painting / staining.